Download iPhone X Case Mockup Free PSD. This is the free psd mockup that you can use to present your iphone X case design in style. This is the Gorgeous iPhone Case Mockup will allows you to showcase your iPhone 7 case design and use in ecommerce websites. Usually people love to get iPhone cases through online shopping sites, because they get a choice to choose from. Designers, Photographers, Shoppers, owners, online stores can use this iPhone X Case Mockup to sell their iphone X case online. Just place your own iphone x mockup design inside this iPhone X Case Mockup Free PSD that you would like to present your clients and consumers to give them the idea how the iPhone X case will look like. 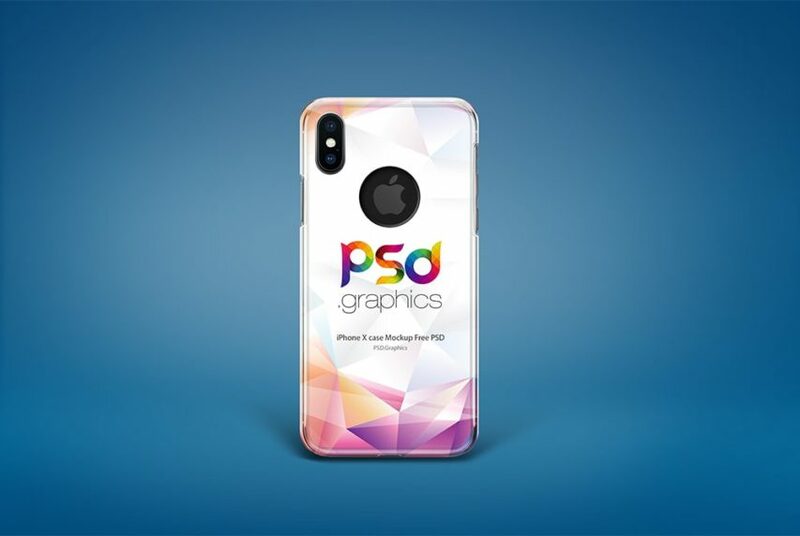 The PSD file is fully editable and organized in separate smart layers so you can easily replace your own iphone x case designs. So Download this Free iPhone X Case Mockup PSD to give your client and customer some idea how iphone X case design will appear on iphone X. In order to add your design, just replace the smart object with your desired graphics. By changing the content of smart object with your design you will get your desired result in few seconds without worrying about design placement. All in all this freebie has a modern and elegant look. This layered PSD resources comes with Easy & customizable PSD file arranged in groups and named perfectly which can save the time to create your own mockup. You can modify this iPhone X Case Mockup Free PSD as you wish. However you are free to use this Free PSD in your personal and commercial projects. If you are using this file please give some credits to psd.graphics Hope you like it. Enjoy!